Over the past few months, I've been attempting to live with a much more aware lifestyle and a much more moral lifestyle. In doing so I have stopped buying a lot of my favourite products in order and instead opt to finish what I have left and find a cruelty free alternative. 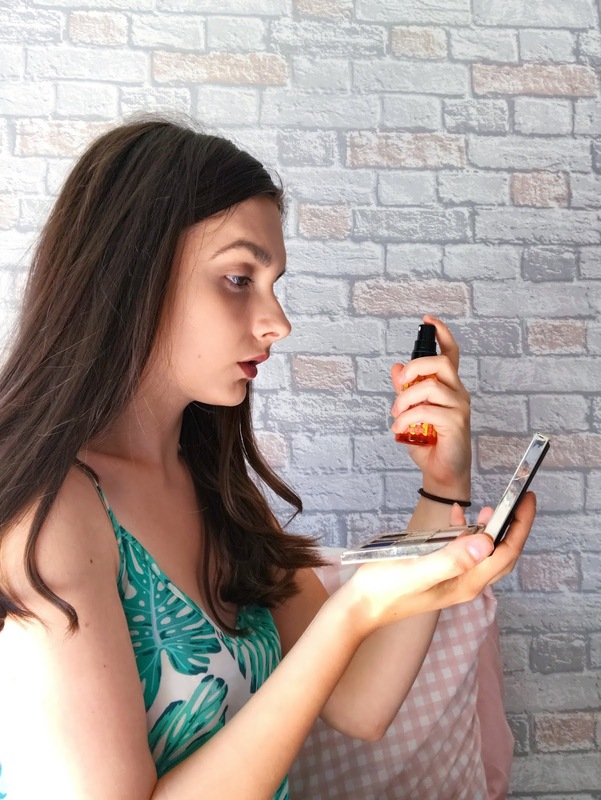 I am in no way, shape or form a cruelty free blogger, there may well be products that I post about on here from problematic companies with questionable morals, but I am taking a journey and I am finding what works for me and taking it slowly in order to fully indulge and learn from the experience. MAC is a questionable brand, one some say obviously tests on animals through its sales within China, other opt to disregard this because the products being sold within the UK in which UK citizens will use and touch cannot by EU law be tested on animals. Either way, I have found a product that is not only a cruelty-free dupe of Fix+ but is also less than half price and created by a very moral brand. I actually didn't intend to find this dupe, I stumbled upon it when I attended an event hosted by The Body Shop on the launch of their brand new body yoghurts. Alongside these body yoghurts, The Body Shop has released a facial mist in five different scents each targetting a different skincare problem. Upon the first appearance, I totally wrote them off as a simple setting spray, nothing more, nothing less, but I was so wrong. These facial mists are multi-purpose with more uses than you can count on all your fingers and all your toes. 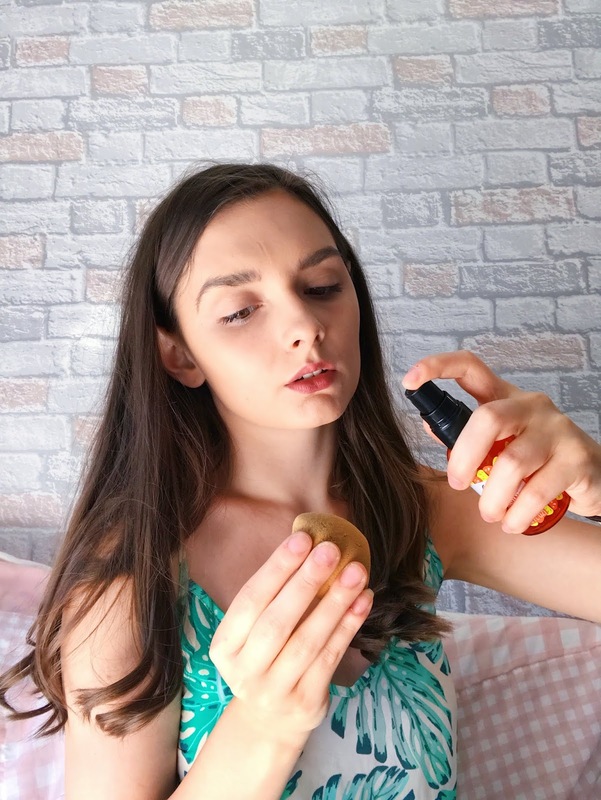 First and foremost they are hydrating mists, they give your skin a quick perk, they also work as setting sprays to be applied after or before makeup to keep your makeup in place all day long, but on top of this they also do everything fix+ can (read the five ways you can add fix+ or rather, this facial mist to your daily routine here). Taking it one step further, each scent has its own unique set of skills, Rose Dewy Glow does what it says on the tin and gives you a glow from within look, Strawberry Smoothing smooths out your complexion, Coco Calming calms your dry or sensitive skin, Mandarin Energizer has caffeine to give your skin a pick me up, lastly, Mint Mattifying mattifies the skin or your makeup look. Of course, as a caffeine addict, I went for Mandarin Energizer, also because uni stress made my skin look like it had died a slow and painful death and I love the smell of mandarins. Despite looking much larger than the TBS facial mist fix+ only holds an extra 40ml despite being £13 more expensive, thus you could actually buy three TBS facial mists at £6 each amounting to 180ml of product, 80ml more than fix+ and still save yourself £1 (fix+ costs £19 for 100ml, TBS facial mist is £6 for 60ml, in case you want to do the math yourself). Personally, I prefer the petite size of the TBS facial spray, it is super easy to carry in your bag with you, unlike fix+ which is clunky and awkward to carry in a handbag. Not only does the TBS mist have a lovely scent to it but the way the product spritzes out is a lot calmer with less product hitting your face than that of fix+. I use my TBS spray to hydrate my skin, before I put in makeup, dampen my beauty blender, intensify shadows and highlights, revive mascaras and gel eyeliners, mend broken shadows, all of the things I use fix+ for, but there is one thing The Body Shop facial mist does which fix+ could only dream of, it sets your makeup. The Body Shop setting spray not only sets your makeup but actually helps to keep it intact for much longer. I have opted to use the mist instead of my usual Urban Decay All Nighter setting spray since I got the little guy and each time I have used it my makeup has stayed intact longer than it would without a setting spray. The first time I used it I was going out for lunch with my mum and wore makeup for 6 hours and the only thing to move was my lipstick. The next chance I got to try it out it was super warm and I decided to see how it kept my makeup on despite the humidity, again I opted for 6 hours and just my chin was problematic, but even UD's All Nighter can't fight with my chin on a humid day. I then attempted a 12-hour wear and by the 8th hour, my makeup began to fade and look patchy in areas particularly that pesky oily chin area and the dry area around my nose. All in all, I prefer The Body Shops mist to MAC's Fix+ and can definitely see myself fazing fix+ out in exchange for this gorgeous product. I definitely want to pick up some of the other scents to try out and at that price, it is hard to actually say no. Have you tried this product? What are your thoughts? Would you swap our a product for this one? Tell me in the comments below. ITEMS IN THIS BLOG POST WERE GIFTED BY THE BODY SHOP.